News stories from around the world of Christians being jailed are commonplace – and we honour them for it. But what of Christians here in the UK who have spent time in prison? What kind of response should they provoke in us? Every year, thousands of Christians are released from prison, Christians just like you and me. The only difference is that the issues they struggle with have resulted in custodial sentences. So how can we, the Church, support these brothers and sisters as they seek to re-enter society? How can we help them move forward with their faith? What unique factors do we need to be aware of and what precautions should we take? 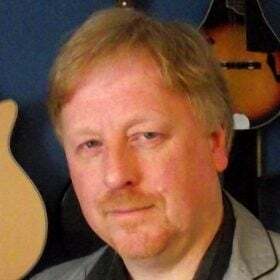 With extensive experience in the field through working with Walk Ministries in Stoke-on-Trent, Stephen Dailly has profound insights to share into the very real difficulties that released male and female prisoners both face and present. Speaking about his book, Working with Released Prisoners, Stephen says, ‘It presents a challenge for people of God, or for churches as organisations, to become involved with the stories of people leaving prison. It examines why this is both a spiritual and a social imperative, taking Isaiah 61:1 and Luke 4:18 as its authority.’ The tangible difference we can make to the lives of these precious sons and daughters of God is a very real way of fulfilling this biblical commission. 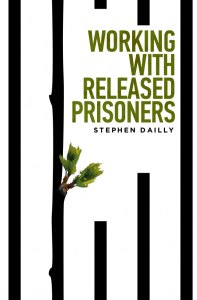 Working with Released Prisoners by Stephen Dailly (ISBN: 9781909728967) is published by Instant Apostle and is available from Christian bookshops, bookstores and online retailers. Non-fiction, 320pp, £8.99.